As the Meissen Porcelain Manufactory gained more success, it looked to broaden its reach outside of Europe. 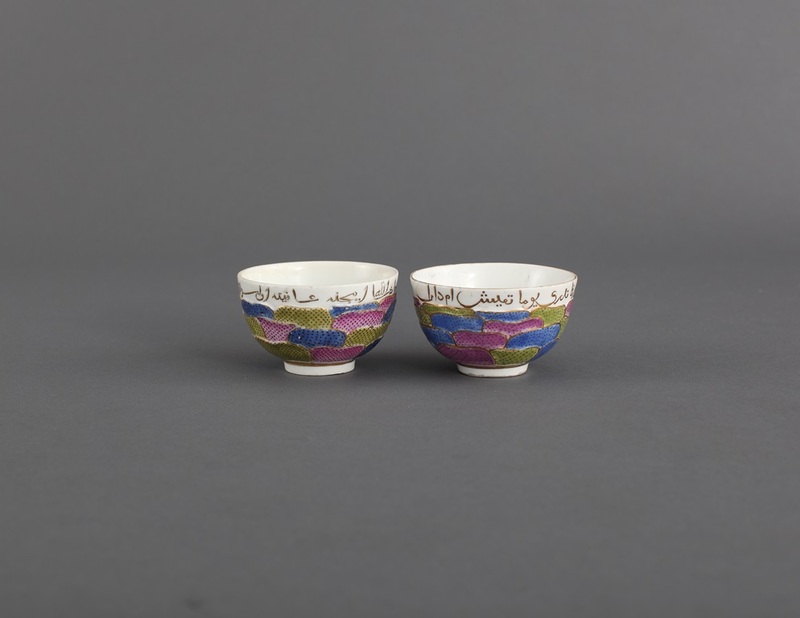 These saucer-less tea bowls were made for the Turkish market around 1756. An Arabic inscription along the rim proclaims, “Ah, how beautiful, may it taste good to the drinker.” Below, stylized lotus flower petals in blue, green, and purple are stippled with dots. In later shipments to Turkey, Meissen opted to alter its noted crossed swords logo with pseudo-Chinese characters because they feared their trademark might look too much like the Christian cross for some buyers.